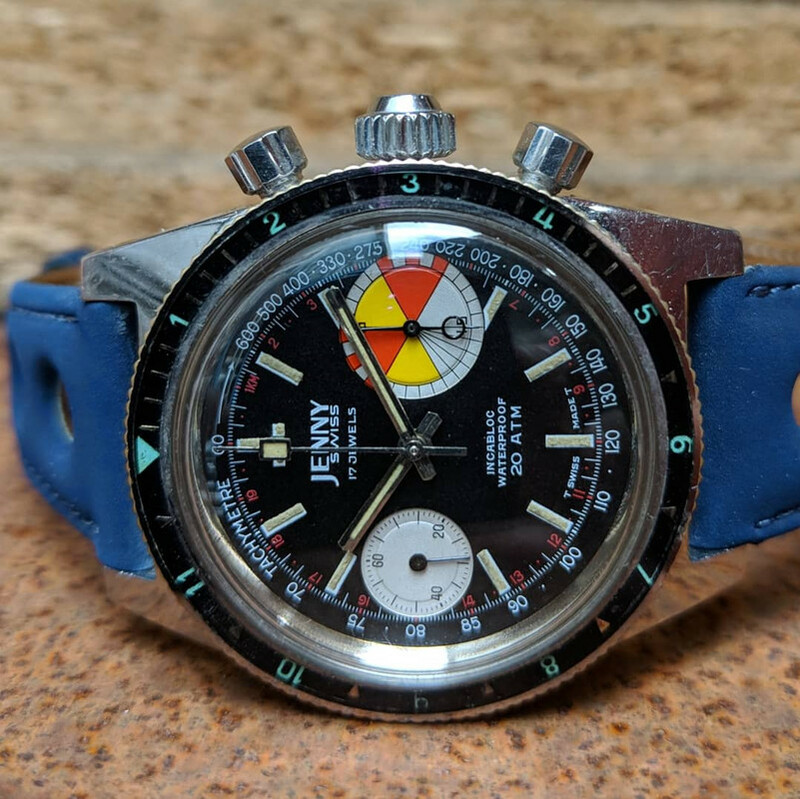 This Jenny Swiss is in original condition in all parts, something very hard to find in these watches. The case is a Steel one made by Ollech and Wajs(ref.6002)is in very good condition with some scratches from the daily use. All the original lines are there, don't think it was polished in the past. Lugs are in great condition. The crown is the original screw in case one. Works perfectly. If you know these watches, you know most of them are with non-original crowns. These are very difficult to find in the second-hand spares market.